room size ... the rooms with double-size bed have not enough space for our baggage. 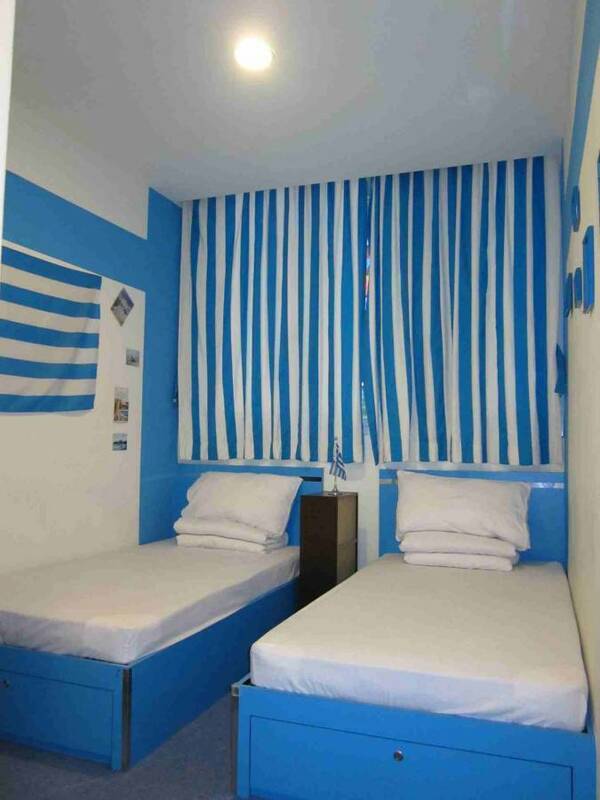 however, the rooms with two single bed are spacious enough. We offers comfort and convenience with our traditional gracious hospitality. Unlike the very “typical” and “standardized” services of other hotels or serviced apartments in town, Embassy Hotel is dedicated to provide tour guests with tailor-made and personalized services. Throughout your stay, you will find our staff to be courteous and efficient. We will offer you a set of ONE-STOP services which taking care of all aspects of your needs. The extraordinary services allow the guests to embrace the comfort and homy ambience. To suit every business & leisure travelers' needs, Embassy Hotel offer both Long term and Short term leasing packages in competitive and value-for-money rates. This provides the guests with a great deal of flexibility in their booking. Tsim Sha Tsui —as the heart of the Kowloon peninsula, one of the most colourful and vibrant commercial and shopping areas of this lively, cosmopolitan-- Hong Kong. The Embassy Hotel is located in the key area of Tsim Sha Tsui. Thanks to the convenient location of the hotel, all guests can easily access to the world-class commercial, entertainment, dinning and shopping facilities. You will surely have a nice great time during your stay. Our fully furnished guestrooms are decorated stylishly with various themes. Room amenities include independent bathroom, air-conditioning, LCD TV. The hotel also provides access to broadband Internet, IDD telelphone, tea/coffee facilities, hair dryer, and refrigerator. The Embassy Hotel is well served by a modernized public transport network. It is just a few minutes walk to the MTR, buses and taxi station as well as the Kowloon-Canton Railway Station, direct shuttle bus service which connects to the Airport and Mainland China. Tsim Sha Tsui--- as the heart of the Kowloon peninsula, one of the most colourful and vibrant commercial and shopping areas of this lively, cosmopolitan-- Hong Kong. 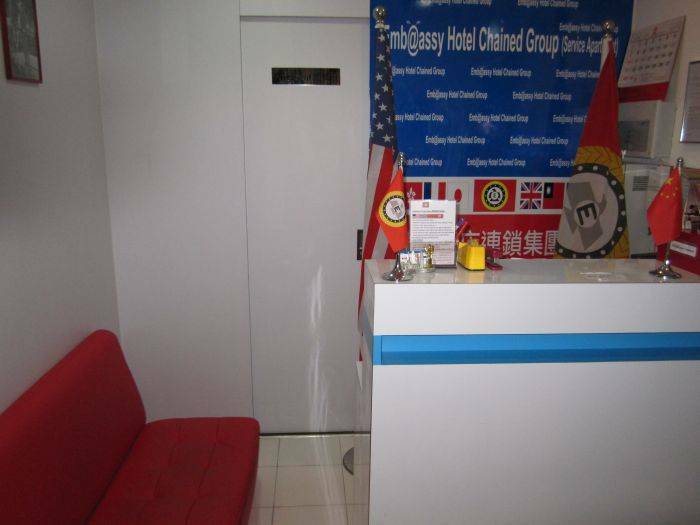 The Embassy Hotel is located in the key area of Tsim Sha Tsui. Thanks to the convenient location of the hotel, all guests can easily access to the world-class commercial, entertainment, dinning and shopping facilities. You will surely have a nice great time during your stay. Cancellation by email 7 days before the arrival date is required, or guest have to pay 100% of the room charge. Hotel--Airport: ““Woo Sung Steet” bus station (opposite pavement of the hotel ) A22, or N21 overnight bus---- Airport station get off.